As a modern jazz group takes the stage, the audience tends to focus on soloists playing horns, piano or guitar. A lot of music fans probably don't listen for the bass player, even though the bottom notes lift a tune. But anyone who sees and hears Chris Bates perform in the Atlantis Quartet, Red Planet, Framework or Leisure Valley won't miss how he powers those innovative ensembles. 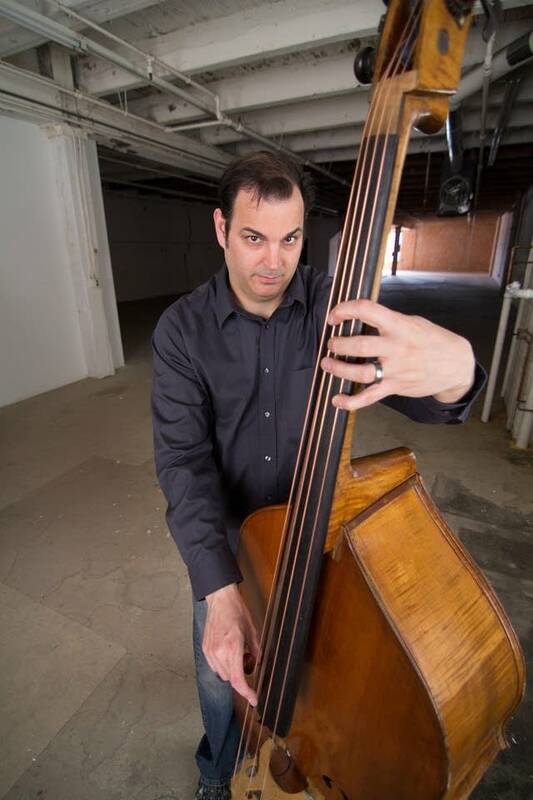 Playing with energy and imagination, Bates builds a strong floor upon which other musicians can place melodies and improvisational flourishes. After years of providing a foundation for others, at 41, Bates is taking center stage. For his new ensemble Red 5, he chose great musicians who can complement his notes -- and demonstrate that the sum is greater than the parts. He's joined by saxophonists Chris Thomson and Brandon Wozniak, trumpeter Zack Lozier and his brother, JT Bates, on drums. They perform tonight and Saturday at St. Paul's Artists Quarter. On "New Hope," his first release as a leader, Bates shines as a composer, writing or co-writing eight of the recording's nine tunes. Avoiding other instruments that can play chords, he tops his bass lines with notes that soar. With three horns, the group also echoes the Motion Poets sextet, which Bates was in 15 years ago. "At any one point, one of those people can be pushing the lead, pushing the energy of the music," he said. "I was trying to use the horns as more of that color rather than ...having a keyboard or guitar in the band." Bates doesn't have anything against those instruments. Indeed, he often accompanies musicians who play them. But with his new recording he wanted to make the bass and horns a four-part voice, providing his band mates with freedom to create spontaneous music while also giving a nod to composers he admires, like saxophonist Ornette Coleman and bassist Dave Holland. The approach works masterfully on the new tunes, which give the three horn players plenty of room to create individual and collective renditions. They're refreshing takes from a composer who has paid his dues. 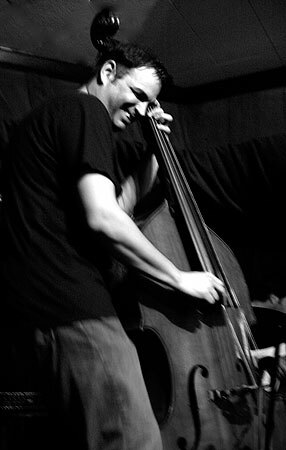 Bates, of New Hope, has been playing the bass since the fourth grade and is from a family of musicians. His father, bandleader and trumpeter Don Bates, directed the Hopkins High School bands for many years. Another brother, David, is a saxophonist in Nashville. After studying music at the University of Wisconsin-Eau Claire, he studied with acclaimed bassist Anthony Cox, among others. His biggest collaborator may well be his brother JT. They've performed together for more than 25 years and embody the special relationship between the bass and drums in jazz, one that these days he usually shares with fellow Atlantis Quartet member Pete Hennig. "Well, the dude that I have the most history with is my brother," Bates said. "I've been playing with him since I was 15 years old. "I just think there's that intrinsic value of a family connection... That guy's going to play more respectfully, yet more disrespectfully to that other person. Like, 'oh that's that thing that you always do -- I'm going to jump on that. Or, 'that's that thing that I love ... I'm going to stay home,' and ... 'I'm going to let that contrast exist.'" While some recordings start with melodies and then allow soloists to take their turn with little interaction, Bates uses melodies only to bookend his tunes. As they develop, the musicians shape them with improvisations, often at the same time. That's key on Dark Matters, a tune that draws on North African influences. It starts with Bates on the bow. As the story unfolds, Thompson emerges on soprano saxophone before the other musicians join the groove. "Stomp, co-written by Lozier," has a New Orleans feel. "My Leg is Bouncy," co-written by Thomson, is as lively as the name implies. Wozniak's "Mood Ring" features Bates in a bass solo with "a bunch of crazy stuff" followed by the saxophone player's melodic inventions. Consistently, the nine tunes feature the musicians in intricate musical conversations. "That's something that I think is fun and exciting for the guys in the band too," Bates said. "They know that they're not going to be just taking their own solos. They're going to actually get a chance to interact with someone and that in and of itself takes the music to a whole other place." For Bates, music doesn't involve just taking listeners from A to Z. It's about exploration, and making the leap to challenging new territory. "This collective ensemble can take you somewhere," he said. "Hopefully, you're along for the ride."